I will try to explain the tutorial step by step on a fresh VPS. I just got a fresh VPS with only operating system installed. OS installed on my VPS is centos 6 64-bits. Below is details of my new VPS. 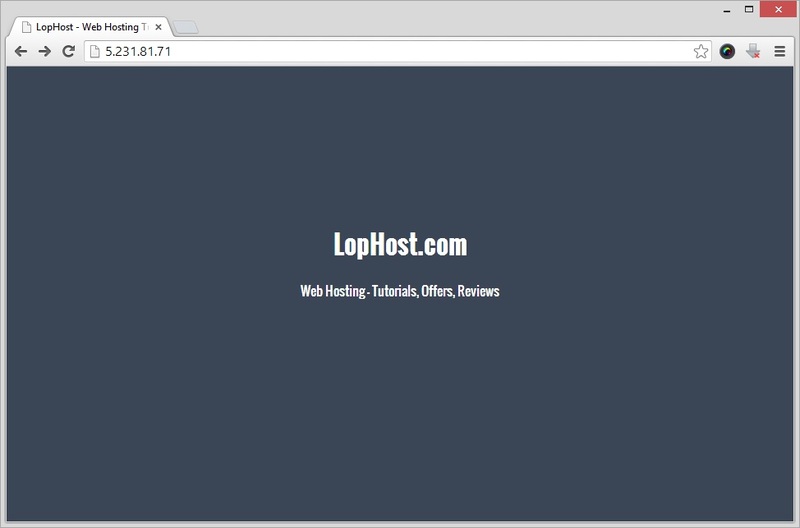 Login to your VPS/server as root via SSH and follow these simple steps. My first step is to install Apache on my server. Run following command to install Apache on the VPS. After installing Apache, VPS IP will show default Apache page. Now upload your HTML pages in /var/www/html/ directory. Your website is now running on your VPS. Address of your website is your VPS IP. Now its time to use a domain name like domain.com for your website. This can be achieved using A-record. 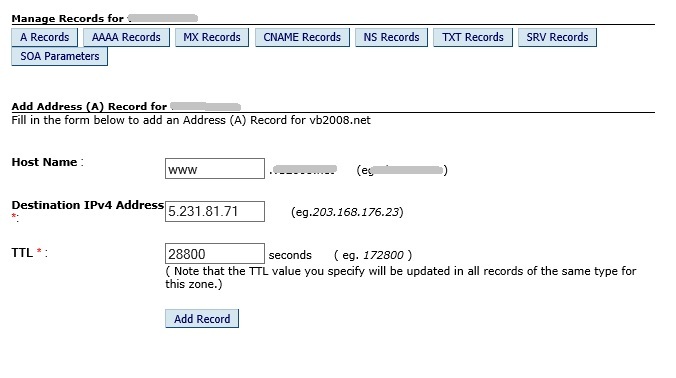 Create a A-Record and point it to your VPS IP. A-record can be created from domain control panel. After creating A-record, wait for few hours for DNS propagation.